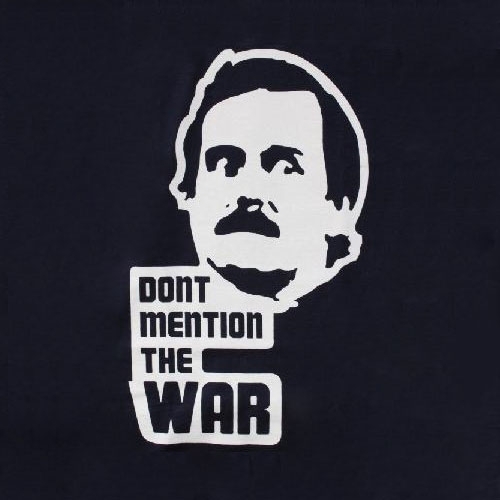 How can I, in the two years I have been writing this blog, not have mentioned Hitler? It’s that Britishness engrained in me which means that even though I talk about the war and Hitler, I never do with the locals. I knew that I was moving to Vienna about a year before I actually did and from that moment on, I got everything out of the library that I could about World War II and the man who started it. 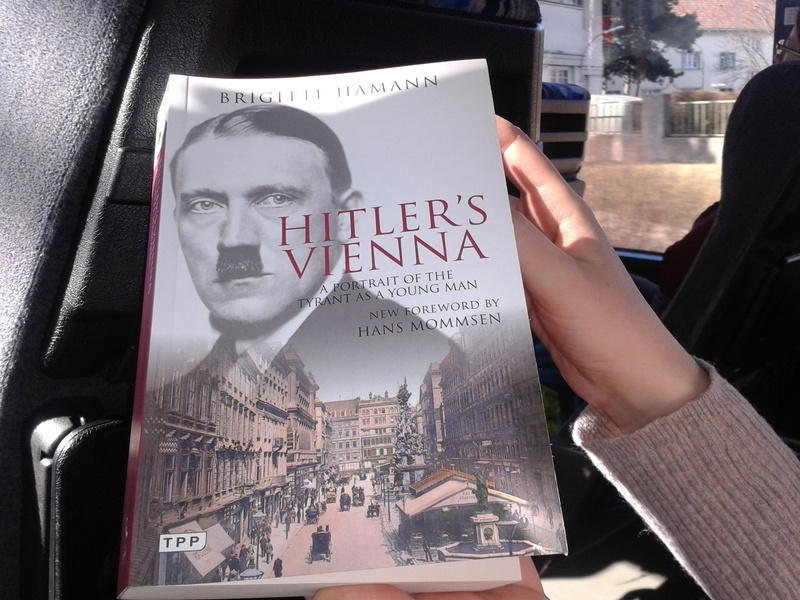 The book by Brigitte Hamann called Hitler’s Vienna follows the life he lived in Vienna when he arrived as an eighteen year old. 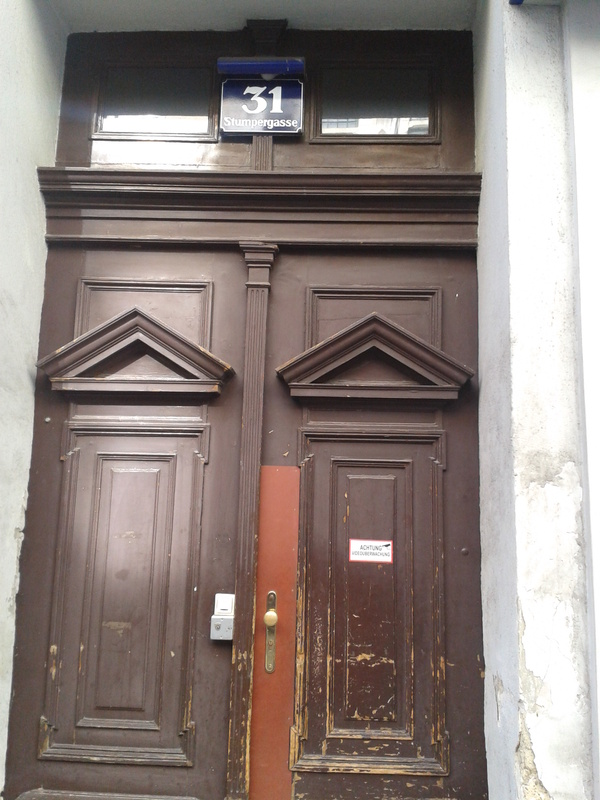 It even gives his old addresses and I found myself on a morbid Hitler tour which took me to 31 Stumpergasse, where he apparently lived in a shared room as a penniless young man trying to make it in Vienna. I have no idea if this building is still the original; perhaps it was bombed and rebuilt after the war, but it made me shiver all the same when I thought of the ideas and the plans that were being formulated in the mind of the Führer as a young adult. Whenever I read this book in public, I always bent the front cover back so that no one could see it. And that brings me to the impact it has had on language. The word Führer, which means leader, stems from the root word führen, which means to lead or guide. You can still use that verb, but you can’t use the noun. If you want to say you are the leader of a group, you have to say you are the Leiter, or even use the English loan word Manager. In every German course I take someone inevitably declares him or herself to be the Führer when they are talking about running a group or being a team leader in work; an honest mistake by those trying to get to grips with the language. Whenever this occurs, our teacher always stops and tells us, “Der Führer is schon tot. Gott sei dank!” (the Führer is dead. Thank God!) and he is right to warn us about the offence we could cause by using that word. In school the other day, I picked up the mandatory history books and saw that the war is dealt with honestly, with warnings for the past not to be forgotten. Almost every school has the book “Die Welle”, The Wave, on its literature reading list. This comes from an American TV-film written about a true story of a high school teacher who, in response to being asked why ordinary Germans didn’t do something about Hitler and his wave of persecution, starts an experiment to try to show how ordinary people get caught up in a mob mentality. We have indeed seen The Wave, dubbed in German, in our German class. Most children here will read the German translation in school as a warning about following the crowd and getting swept along in a movement without stopping to question. The city drips with references to Hitler, the war and its legacy. There are streets named after famous Nazi Hunters and a whole Israeli and Jewish community whose synagogues, schools and cultural centres are protected by armed police patrols. The second district is known as the old Jewish district and Praterstern, a large train station now, is the location where Jews were rounded up and removed from the city to the work, concentration and death camps. It is only in recent years that this district has started to be regenerated and seems to be more up-and-coming. There are monuments that say ‘niemals vergessen’ (never forget) and there are frequent art exhibitions all with the same aim; to protect against oblivion. They know that to not forget the past is the only way to protect the future. When you walk around the city it is as if some famous landmarks bear a ‘Hitler was here’ mark and I find myself telling my visitors as we walk past the opera that Hitler used to go there, being able only to afford last minute standing room only tickets and that he was greatly influenced by the grand performances. Likewise, when we walk around the splendid Ringstrasse, I talk about how Hitler was influenced by the pomp and ceremony of Kaiser Franz Joseph’s parades and included many of the same elements in his public rallies and speeches. Whilst not wanting to forget, the locals don’t like to talk about Hitler. Eating out with friends the other week my Austrian friend mentioned Hitler and immediately followed it with the realization, “Uh-oh. I just said Hitler in Austria,” and whilst we laughed, it was true that people at the surrounding tables had all pointedly turned and looked at the moment the name was mentioned. When Russell Brand recently posted on YouTube that he was sitting on the bed that Hitler once slept in in Hotel Imperial, it was reported in the free tabloid paper the next morning and declared to be an unfunny, insensitive joke and the hotel was quick to release a statement to distance itself from the truth of Brand’s assertion. It’s a good thing that Hitler’s shadow across the city still makes us shudder and the city should make sure that no one forgets.